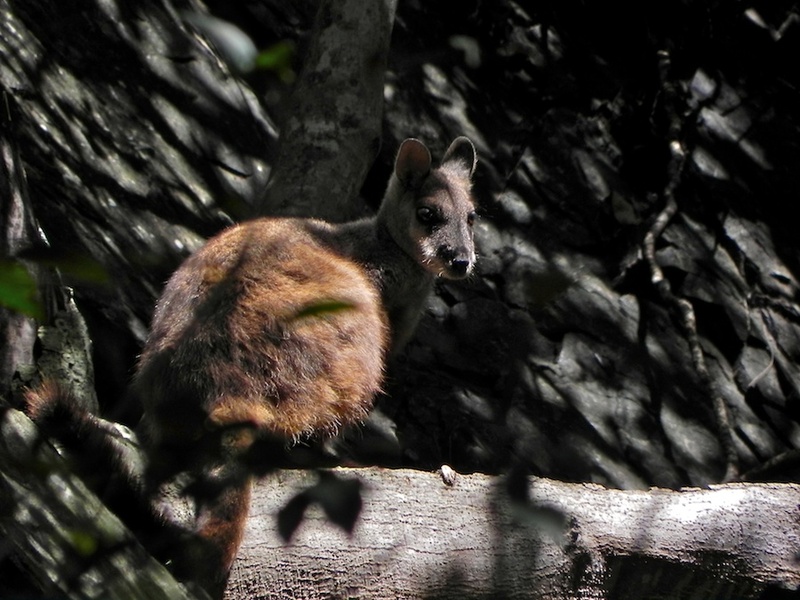 While walking upstream alongside the Macleay River, we were surprised to come across a handful of rock-wallabies gambolling in and around rocks and trees near us. They’re normally shy creatures, so to be able to witness their antics so near to them was a treat. [I think that the rock-wallabies found in this area are brush-tailed rock-wallabies]. I have recently begun following your blog and am enjoying it very much … thanks. A good shot, well done.